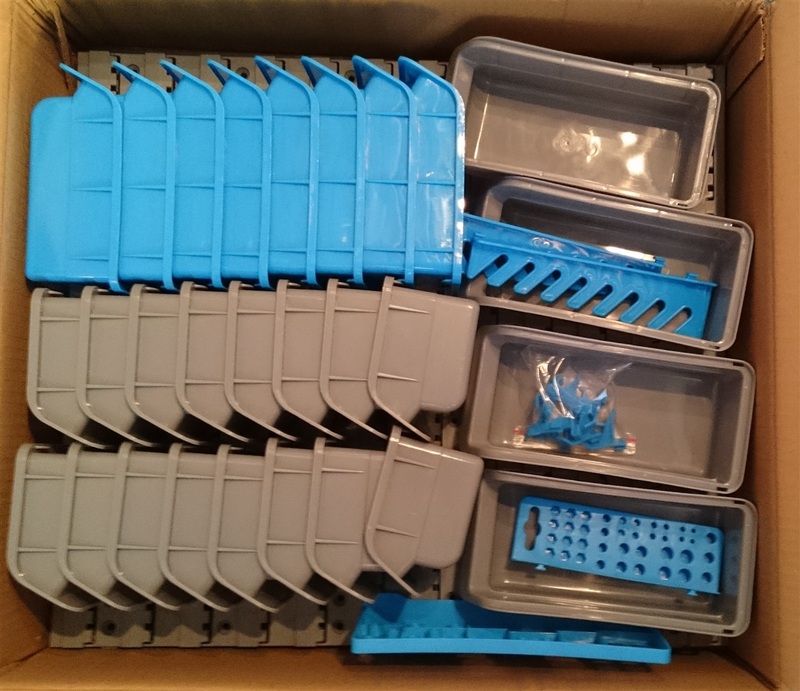 Here's a quick look at Jaycar's new 44 piece wall mounted bin rack, HB6340. Overall it's a good solution to add some extra storage space, for people who don't have a huge workshop or for someone who is starting off. For the price, the kit is quite sturdy and installation was easy. 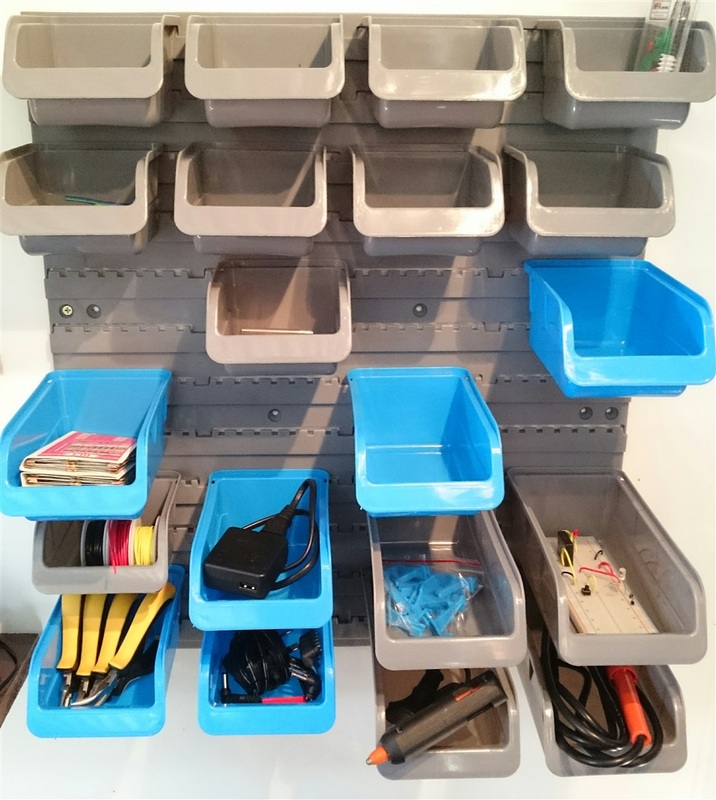 In the kit you get 28 storage bins (16 small grey bins, 8 blue medium bins, and 4 large grey bins), a number of pegs, and two small tool racks. The can be hung on two mounting plates, each able to carry 24 bins. Installation was easy, and the mounting plates have a good number of screw holes so small obstructions to drilling in the wall can be worked around. The system is sturdy enough for typical electronics and light tools. I wouldn't put a solid hunk of lead (or the seriously heavy old transformers) in the larger bins though, they probably wouldn't take it. 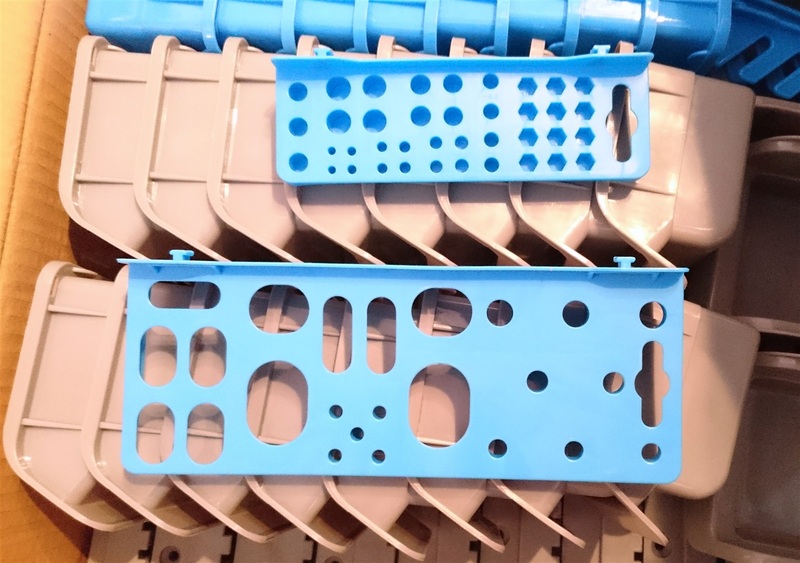 There is a stand-off of about 4-5mm between the back of the mounting plate and screw hole, so screws may need to be a bit longer than expected. Here are the two tool racks. Time will tell how useful they are.